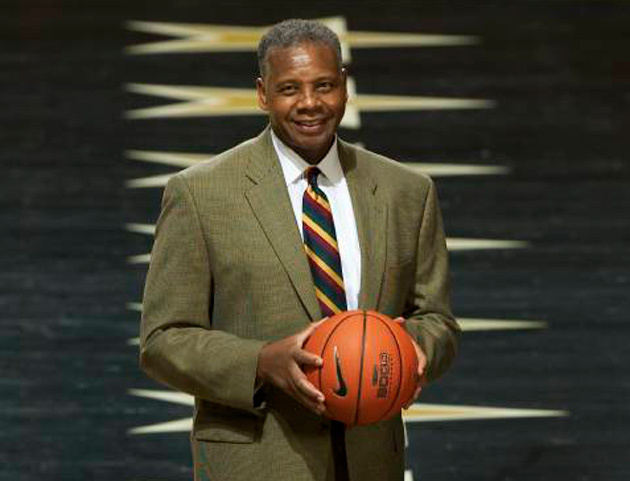 The life of Perry Wallace, the first black to play basketball in the Southeastern Conference, has all the makings of a major motion picture – humble beginnings, great talent, dedication, pain, endurance and finally triumph and conciliation. “It’s as if nobody knew Jackie Robinson’s story,” said author Andrew Maraniss about the general lack of knowledge of Wallace’s accomplishment. 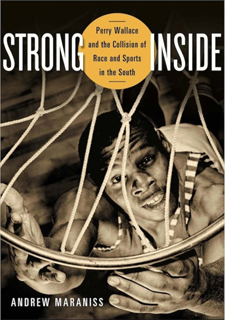 A Vanderbilt alumnus who first wrote about Wallace as a Vanderbilt student 25 years ago in a class taught by professor Yollette Jones, Maraniss now has published Strong Inside: Perry Wallace and the Collision of Race and Sports in the South (Vanderbilt University Press). Wallace and Maraniss will participate in a conversation about Wallace’s life and the book at 2 p.m. Dec. 4 in the Central Library Community Room on the Vanderbilt campus. Writer Frye Gaillard will moderate the conversation, which is open to all. But the low visibility of Wallace’s struggle beginning in the 1966-67 fall semester didn’t detract from its intensity. He got the full treatment as the focus for racial prejudice in- and outside of Vanderbilt. Conditions were better on the Vanderbilt campus, but not ideal. Maraniss, a partner at McNeely Pigott & Fox Public Relations in Nashville, attended Vanderbilt as the recipient of the Fred Russell-Grantland Rice Sports Writing Scholarship, graduating in 1992. He previously worked in the press offices of Vanderbilt’s athletic department and the Tampa Bay Devil Rays. His father is the Pulitzer Prize-winning journalist David Maraniss, who has written biographies of sports heroes like Roberto Clemente and politicians including presidents Obama and Clinton. David Maraniss is set to return for his second semester guest teaching at Vanderbilt during the spring 2015 semester. Research for Strong Inside included more than 80 interviews and many hours in the Vanderbilt archives as well as those of other SEC schools. One key find was a box of memos and transcripts from Chancellor Alexander Heard’s Human Relations Committee. 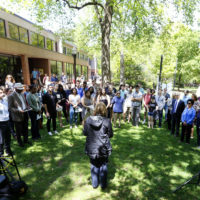 Heard was Vanderbilt’s fifth chancellor, serving from 1963 to 1982. In the box were eight pages of “emotional, insightful, poetic at times” comments from Wallace to the committee dating back to his time as a student. Just as important was the access the contemporary Wallace gave the writer. Now a law professor at the Washington College of Law at American University, Wallace, a 1970 Vanderbilt graduate, was an attorney for many years for the U.S. Department of Justice. He now specializes in environmental and corporate law and corporate governance. For more information about Strong Inside, contact Betsy Phillips at Vanderbilt University Press at betsy.phillips@vanderbilt.edu or (615) 322-6799. For media inquiries, contact Andrew Maraniss directly at amaraniss@mpf.com or (615) 504-4924.